It’s easy to see why Fiona Allan, chief executive of Leicester’s Curve Theatre, is concerned about the role of the press in determining the fate of a new production. In May the new musical Water Babies, opening at the venue, was pretty comprehensively dismissed by the critics – and a new musical based on Sue Townsend’s The Secret Diary of Adrian Mole Aged 13 3/4 is set to open there next year. Allan was quoted in The Stage as saying “I think it’s important for the media to give new musicals a chance… I think there has to be a responsibility, if we want there to be new British musicals, for people to understand that risks are being taken and shows need to be developed and to give things a chance”. While I’m the first to encourage new writing and original musicals – nobody wants a West End filled solely with jukebox musicals and Lloyd Webber revivals – critics are surely not the people with the responsibility to establish the success of upcoming musicals. Writers and composers need to be nurtured, and given the resources to develop their talents. New work must find financial backing. But at some point a fledgling production must be tested. It’s essential that creative teams are allowed to take risks if the British musical scene is to thrive, but being given the space to take risks also means being given the space to fail. Having not seen Water Babies I can’t personally comment on its quality, but whatever audience reactions were in the Theatre, the fact remains that theatre critics almost universally found the new work to have failed in its ambitions – unless it was aiming for “musical blandness and emotional mawkishness”. In a line which now seems prescient, Dominic Cavendish specifically credits “the efforts gone into creating this new musical” when reviewing Water Babies. Yet if he found the music “colourless” and felt that the lyrics “plumb shallows of drippy sentimentality” he had no choice but to say so. To maintain their integrity critics need to give an honest opinion – if every show gets a rave review then they lose their value. While it must be soul-destroying to have your hard work panned, when you’re asking the public to hand over their hard-earned cash they deserve to read an honest opinion. That’s not to give reviewers carte blanche – negative reviews should aim to be constructive, or at the least civil. It is noticeable that even those reviewers giving Water Babies one star go out of their way to give credit where it’s due – from individual voices to the use of video-screens. I find it hard to believe that any critic goes into the profession with the intention of sabotaging new work – if only because it would eventually put them out of a job. To censure critics for having an opinion is essentially to deny them their raison d’être. If you don’t want them to judge your work then you probably shouldn’t invite them to. In any case, bad reviews do not necessarily consign your show to failure, just as positive reviews don’t guarantee longevity. The most famous example of audiences flocking to a show in the face of a critical disaster is Les Misérables – having been slated by critics on its opening in 1985, it continues to run in the West End some 29 years later and is the longest-running West End musical in history. While this is obviously not typical it does demonstrate that a production which connects with the audience can overcome poor reviews. Conversely, several recent high-profile show closures have demonstrated that mixed or even positive reviews can’t keep a show open if it doesn’t capture a paying audience. I Can’t Sing! and Stephen Ward both received three and four star reviews and enjoyed the backing of Simon Cowell and Andrew Lloyd Webber respectively. Despite the promotional nous of their producers, Stephen Ward lasted just four months and I Can’t Sing! closed after only six weeks. Reviewing is not an objective science – while some shows are universally acclaimed or slammed the majority divide opinion, to a greater or lesser degree. But critical debate is vital to the health and vitality of the theatre industry. 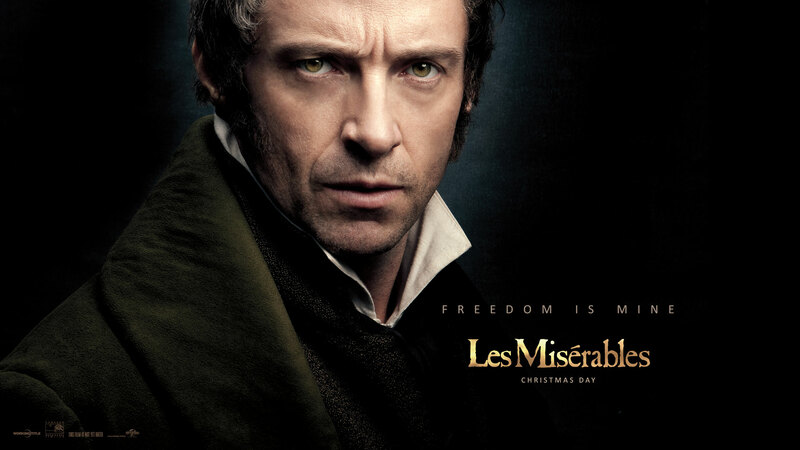 As a massive fan of the musical, the much-hyped film adaptation of Les Mis had a lot to live up to, so it was with slight trepidation that I went to see it. But I needn’t have worried; Tom Hooper’s version captured the spirit of the show while adding a visual scale impossible to capture on stage. The only scene that I felt didn’t live up to this was the barricade scene, with the revolutionaries’ paltry construction looking a bit pathetic on screen. When I heard that Anne Hathaway had been cast as Fantine I was a bit dissapointed; I’m not a massive fan since she single-handedly ruined One Day for me, but I was pleasantly surprised. She may not have been able to master the Yorkshire accent but she can certainly sing, and she pitched her performance perfectly for the extreme close up. In general the casting is spot on, with Helena Bonham Carter and Sacha Baron Cohen giving notably understated, yet still grotesque, performances that bring some comic relief amidst the gloom. They are indicative of the altered tone of the movie – more nuanced and less ‘theatrical’ than the stage musical. The big name performances all deliver, particularly Hugh Jackman and Eddie Redmayne, but the entire cast is strong: Samantha Barks (Éponine), Aaron Tveit (Enjolras) and Daniel Huttlestone (Gavroche) all give excellent performances. Some of the voices aren’t the strongest – I think I’ll still be listening to the original cast recording – but full-out musical-style belting might have felt out of place, and the live singing brings life and feeling to the lyrics that would have been lacking had the songs been dubbed. The film couldn’t achieve the connection with the audience that appears uniquely with live performance; it felt wrong for One Day More to end in silence, rather than to rapturous applause, and in some ways this reduced its emotional impact. Yet the film managed to retain the emotion and atmosphere, the essence of the stage production – while the screen removes you from the action, the ability to choose shots and use close ups means that every viewer has the best seat in the house and ensures that the emotional connection with the characters and their stories isn’t lost.